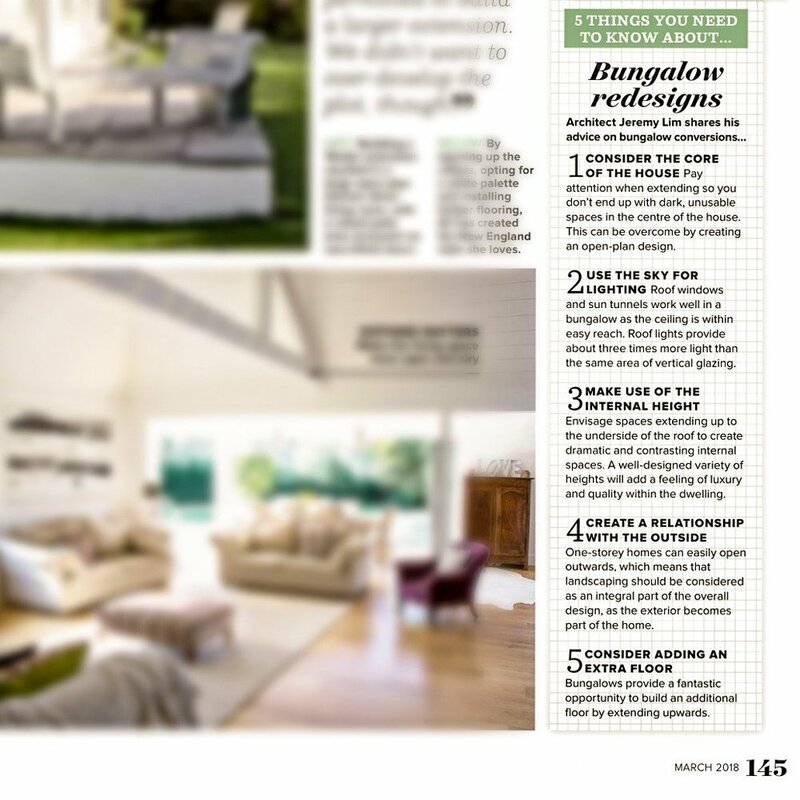 I was asked to contribute some thoughts regarding redesigning and working with bungalows for the Ideal Home magazine March 2018 issue. Bungalows offer some unique opportunities and hopefully I picked up some of the key points to think about when working with this type of home. Work is nearing completion on Woman's Journal, 'House of the Year 1959'. The house has been substantially extended and re-configured to provide the client with a beautiful modern home. Originally a cutting edge home of its time, the house was outdated for modern family needs. The new home has a light filled central atrium space around which the living spaces are arranged with a large family kitchen/dining space extending out into the private rear garden. The new design incorporates a number of modern technologies including: photovoltaic panels, intelligent lighting controls and under floor heating linked to a new energy efficient boiler. To record the build process, for seven months we set up a time lapse camera in the back garden of one of our residential projects. It successfully shows the transformation from the original house to a contemporary family home. Photos were taken every 15 minutes during the day and then put together to make a movie of the process. To provide the short video we used more than 2,500 images. It was a relatively straight forward process but occasional direct sunlight into the camera and condensation in certain conditions created a few issues. The battery ran out a couple of times so you can see the sudden jump in the movie - it wasn't the builder suddenly having a spurt of energy! 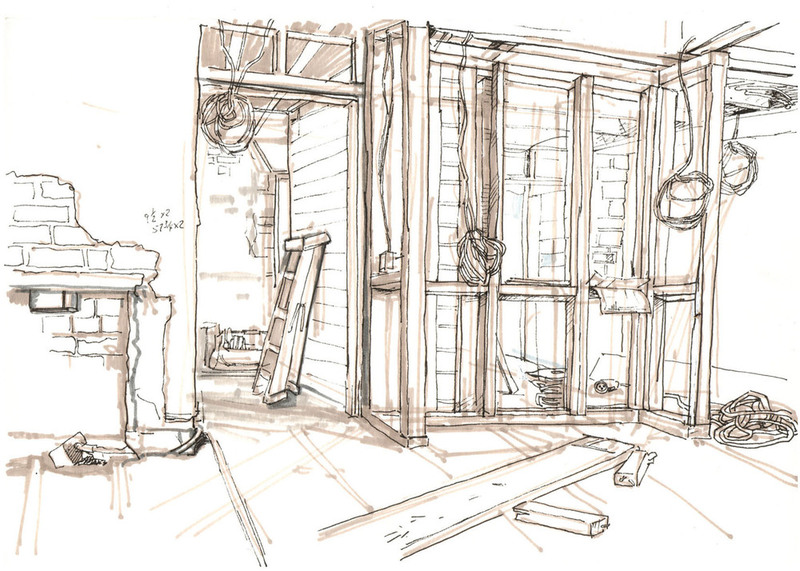 Local artist Simon Bennett Hayes spent a day on site sketching whatever caught his eye! A Place to Live is a call to arms for the design and culturally savvy consumer looking for ideas, advice and practical tips on how to create a home that is cool and contemporary, economically and environmentally sustainable and part of its community. It not only brings you architecture and interiors to marvel at, but also an insight into a world where dwellings are wrapped up by great play spaces, home zones, green spaces, community allotments and recycling schemes, community shops, community gyms and community transport. Where homes are adaptable from cradle to grave and where houses tread lightly in their environment. Our homes and the communities in which we live have a significant influence on our life chances, our well being and our happiness. It is time for us all to demand more. It is hoped A Place to Live becomes both a source book and a manifesto that inspires a wider creative insurgency resulting in homes that serve us all better. A concept design for a new world class marina and gateway to St Petersburg; each building was conceived to be iconic in its own right. Designs were inspired by water, waves and sealife. 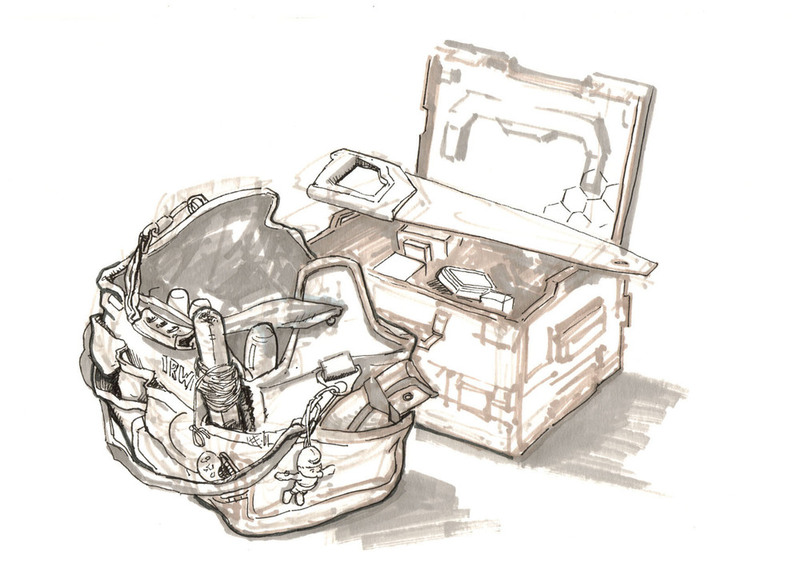 Occasional information about ongoing projects and aspects that may be of interest. Less of a Blog, more of a news page!